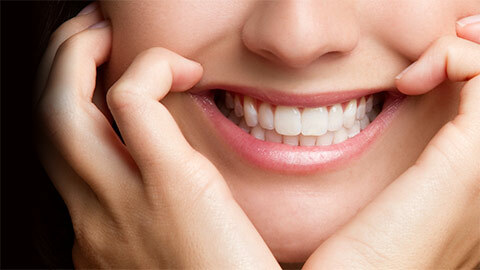 Dental restoration, the process of returning teeth to their original condition, can take many forms. Restoring a tooth can be as straightforward as filling a cavity, or can involve more complex work, such as the manufacture of a bridge to replace missing teeth and bring a smile back to its best form and function. The reasons for restoration are as unique and varied as our patients! That’s why we take the time to get to know you and your individual needs and concerns. Whatever the issue, we can help. Cavities happen to the best of us! Few of us have escaped having this particular procedure at least once or twice. Fillings are also used to repair cracks and other damage. After drilling out the decayed material, Dr Contract fills in the hole with composite resin or silver amalgam, whichever best fits your needs. 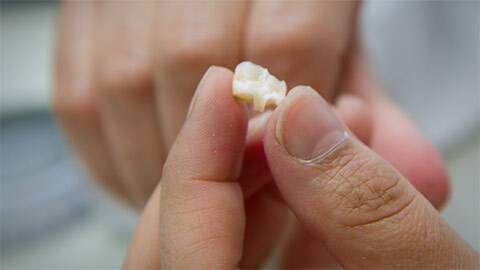 When a tooth can’t be repaired with a filling, a crown is used to restore it back to its best look and function. A traditional crown used to take several appointments - but not anymore! Williamsburg Smiles is excited to offer the latest in crown technology - made with the top of the line Planmeca E4D scanner and miller! No more impressions, temporary crowns, or weeks of waiting - now you can go home with your permanent crown in just one appointment! We’re so confident about this new technology that we offer it with a limited lifetime warranty. Ask Dr Contract about this fabulous new restoration technique! When a restoration requires more than a filling, an inlay is used to provide coverage over more area of the tooth. The inlay fills in spaces between the cusps (rounded edges) of the tooth, fitting snugly inside. Onlays, like inlays, are made to fit within the contours of the tooth, but the onlay covers even more area - even down to the gumline. Onlays are an alternative to crowns when a tooth requires a more extensive restoration than a filling but isn’t in bad enough shape to require a crown. Both inlays and onlays are comfortable and perform well. If a patient has missing teeth with otherwise healthy teeth surrounding the gap, a bridge can be used to restore the absent teeth. The replacement teeth are mounted between the remaining teeth on an appliance. The result looks natural and attractive, and works securely with your normal bite. We want to help you make the right decisions for your teeth, so feel free to ask us any questions you might have about our dental restoration services. We love to help you get the best treatments for your needs! If you need more information about Dental Restorations in Williamsburg, contact us today.